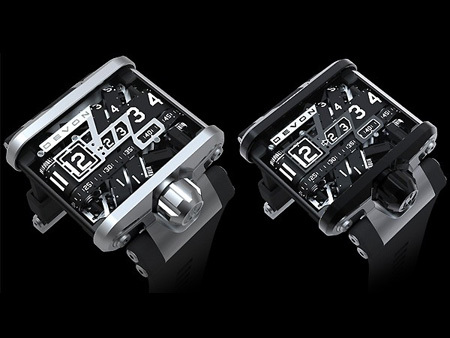 Priced at $15,000, the Devon Works Tread 1 is one of the first watches to offer wireless battery recharging. It's built "around an array of four microstep motors - each driving one of an interwoven quartet of time belts." Forget the fact that this thing is bulletproof or that its internal battery is recharged wirelessly, just look at it.